You already know the importance of calcium and vitamins D and K for maintaining bone health, but it may be time to take a bigger-picture view of your diet. Researchers at Simmons University and the Harvard School of Public Health analyzed 32 years of health and diet records from over 74,000 postmenopausal women, who participated in the expansive Nurses’ Health Study, and nearly 37,000 men, age 50 and older, who participated in the Health Professionals Follow-Up Study. They created a retrospective study to see how a healthy diet could reduce the risk of hip fracture, a potentially devastating event. The researchers assessed each participant’s diet according to how closely it followed three healthy-eating plans—the Alternate Mediterranean diet (a stricter version of the standard), the DASH (or Dietary Approaches to Stop Hypertension) diet and the Alternate Healthy Eating Index-2010, originally developed in 2002 at Harvard in response to shortcomings in the government’s nutritional guidelines and later updated. Then they looked at hip fracture risk in relation to how well or how poorly the three diets were followed and which diet conveyed the most benefits. Study results: Not surprisingly, women whose diets most closely mirrored any of these healthy diets had fewer hip fractures than those whose diets mirrored them the least. While all three diets suggest getting most daily calories from plant foods—vegetables, fruit, whole grains, nuts and legumes—and limiting red and processed meats, sugar, salt and alcohol, there are subtle differences between them (more on that below), and the Alternate Healthy Eating Index-2010 was slightly more beneficial than the other diets. Women who followed it most closely had a 13% greater reduction in hip fractures than women who followed it least closely. Adhering closely to the Mediterranean diet, as good as it is for other reasons, didn’t convey much risk reduction, while adhering closely to DASH hinted at some risk reduction, though numbers weren’t significant. Important: The benefits were much more apparent for women under age 75—so don’t wait to start healthy eating, especially if you’re already in menopause. Because the percentage of men who had a hip fracture during the course of the study was very small, the researchers couldn’t draw any firm conclusions for men, but did see a hint of a positive association between diet and avoiding hip fracture. Another study limitation: Because of the low number of minority participants in both surveys, the researchers were only able to analyze the diets of Caucasian men and women, so the findings can’t automatically be applied to other groups. But since all three diets have an assortment of benefits, including fighting off heart disease, diabetes and even neurological diseases, following one of them can’t hurt and could help. Because the “Index” is a set of guidelines rather than an exact diet to follow, it involves more planning, one reason why it may not be as popular as the DASH and Mediterranean diets. But it’s not complicated. Every day, eat five or more servings of vegetables, four or more servings of fruit, five or six servings of whole grains and one serving of nuts. Get your protein—typically 5 ounces a day is all you need—from seafood, legumes and chicken—but be sure to eat at least 1,750 mg of omega-3 fatty acids from fatty fish a week—that’s about one 4-ounce serving. Choose plant-based fats (oils) over animal-based fats (butter, lard). Limit dairy to one serving a day, avoid red meat and cut out processed meats. Also cut out all sugary beverages, from soda to fruit juices to high-sugar flavored coffees. Eat as little salt as possible and avoid alcohol or limit it to one drink a day for women, two for men. If you find that the Alternate Healthy Eating Index diet is too complex, one of the others might better suit your needs and your tastes—and you’ll be more inclined to stick with a diet if you like it. For instance, the Alternate Healthy Eating Index-2010 recommends eating only whole grains and polyunsaturated fats whereas DASH doesn’t have specific guidelines for omega-3s and polyunsaturated fat and allows for some refined grains as well moderate amounts of low-fat dairy. The Mediterranean diet is known for its red wine allowance and abundance of fish. 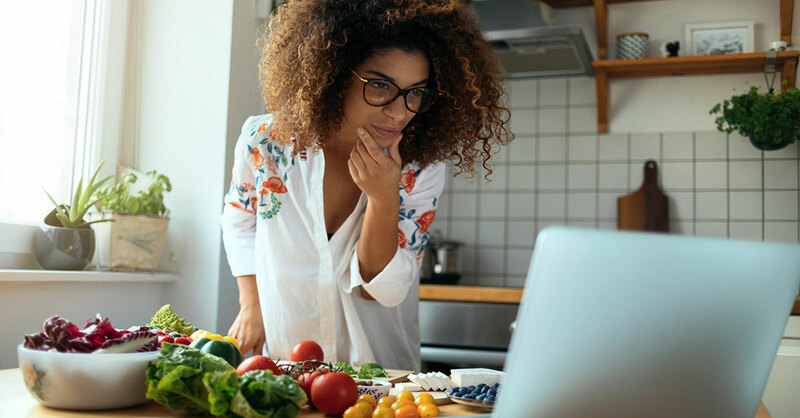 To learn more about these choices, check out “How to Follow the Mediterranean Diet” with tips to make it most effective and “The Best Diet You’re Not Following” for details on the DASH diet.